My wife loves puzzles, which explains a lot now that I think about it. 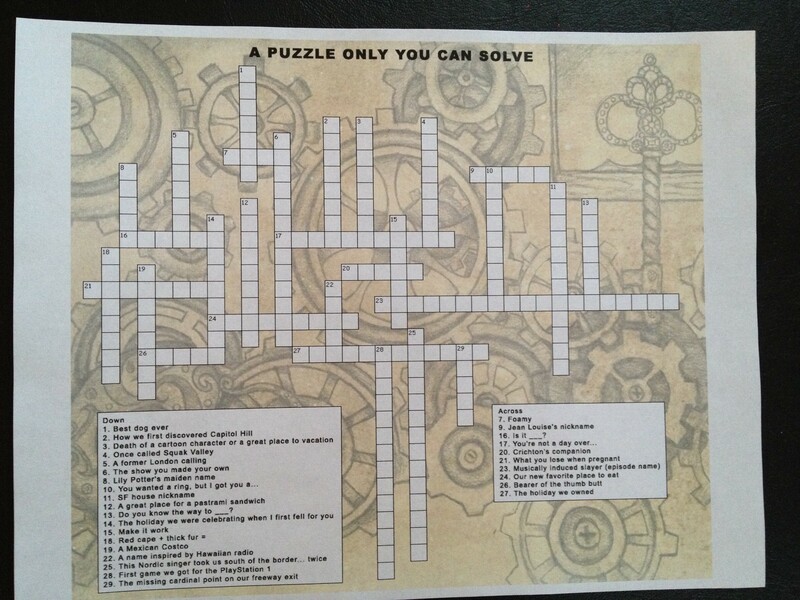 This year for her birthday, I thought it would be fun to create a puzzle only she could solve. I enlisted the help of our son, Griffin, who is six years old. 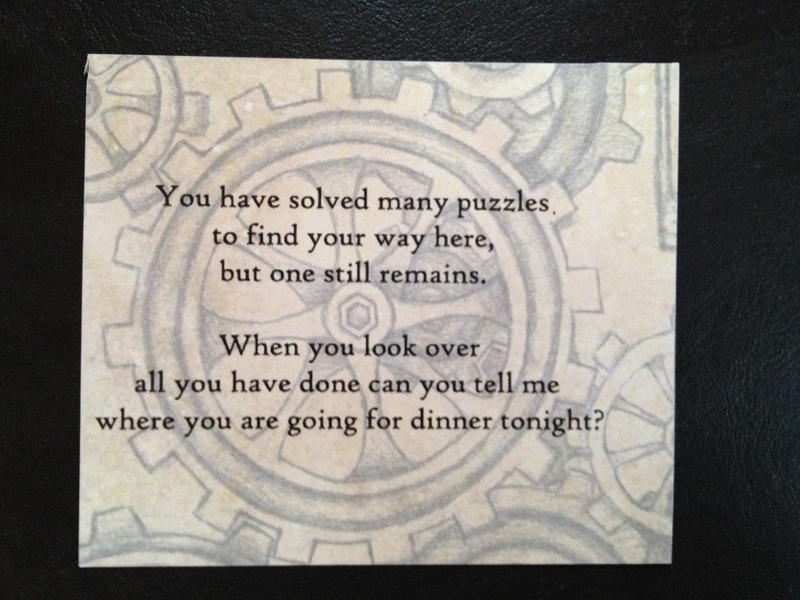 We created a series of puzzles and riddles that only she could answer that would all culminate in her learning where she was going for her birthday dinner. 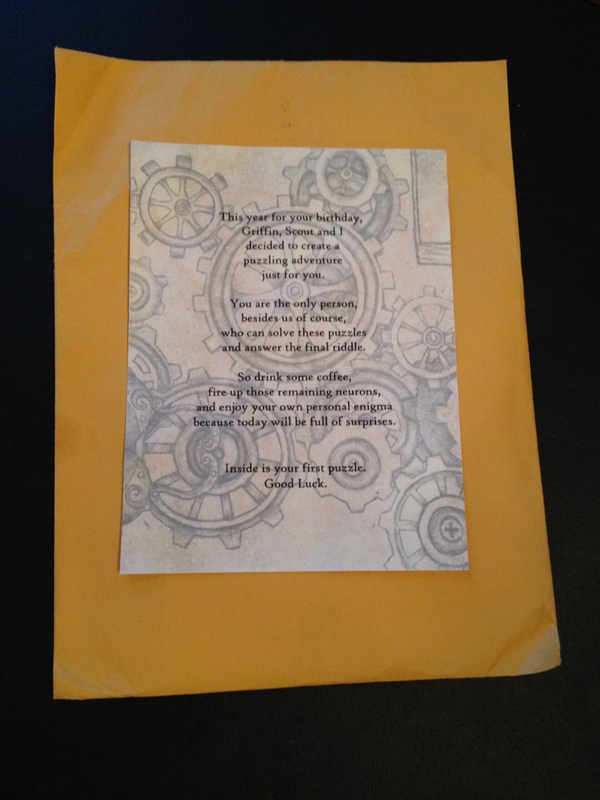 When she woke up, the first thing she got was a hot cup of coffee and this envelope. 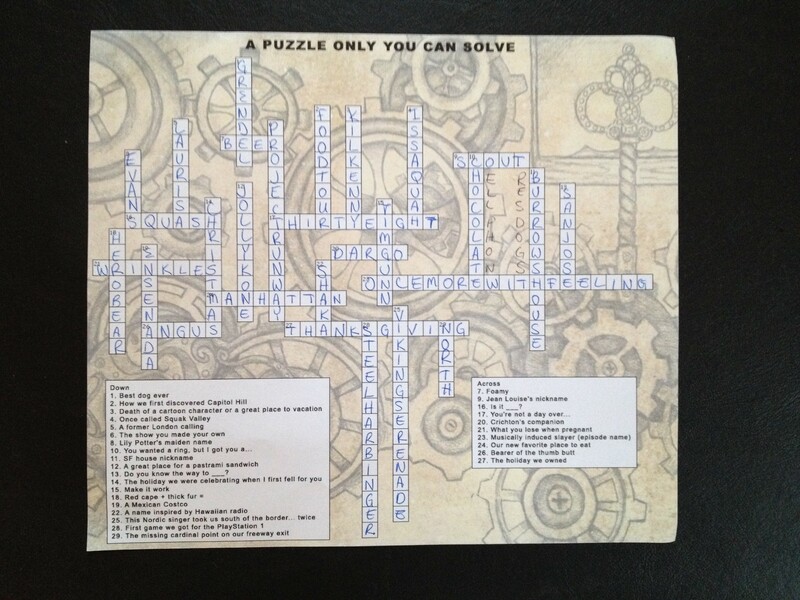 Inside the envelope was a crossword I had made. It asked her questions that referenced significant things in our past, inside jokes or pop culture references I was sure she’d get. I had assumed that this would take her sometime to fill out and expected her to give me a call at some point while I was at work saying she had completed it. However, by the time I had gotten out of the shower, she was pretty much done. She had gotten all but two of them correct and after only a little prompting she remembered the other ones. The tricky part here was that the two words she came up with that ended up being wrong, were actually the same length as the correct words. Trying to anticipate what she might guess, was something I should have thought of before I picked these questions. 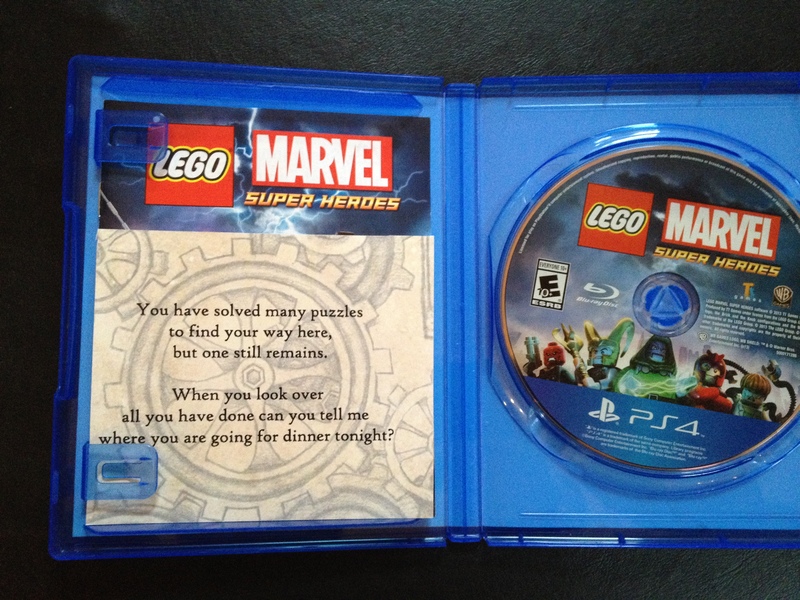 She opened it up and found the first of a series of riddles. 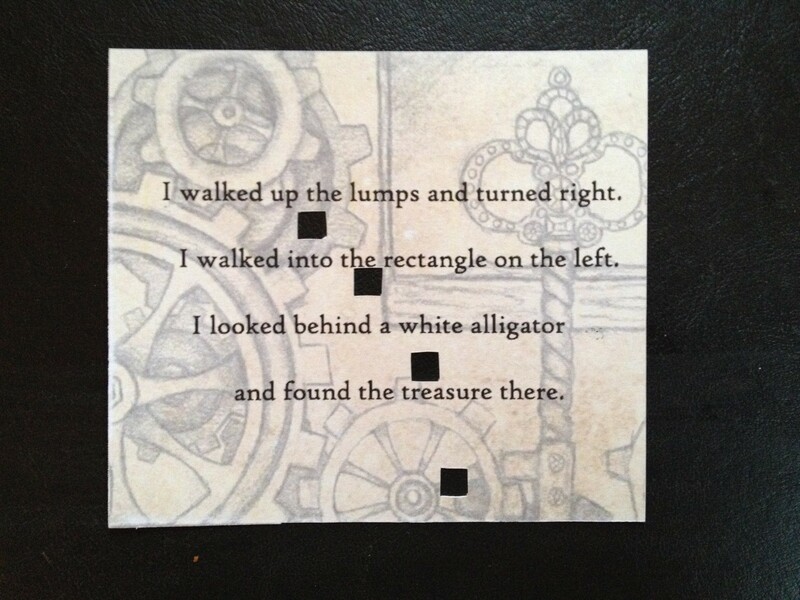 Riddles that my son had come up with pretty much all on his own. 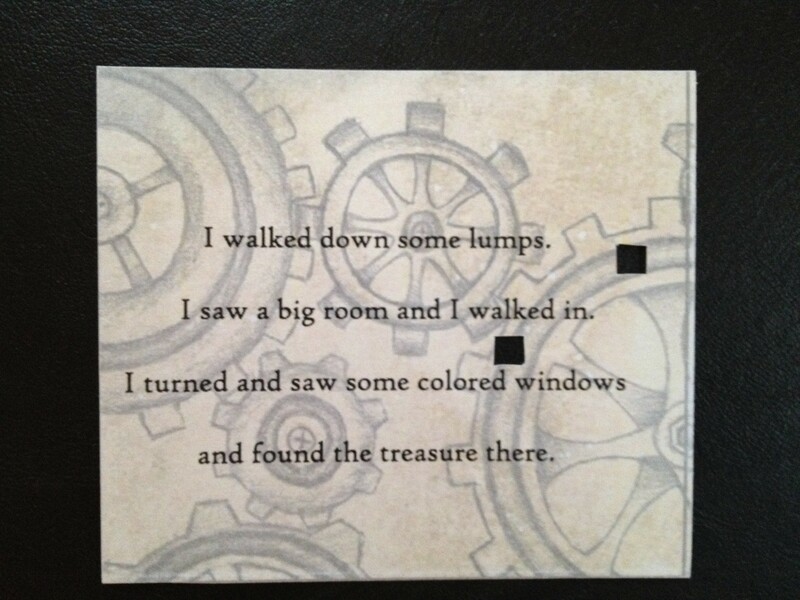 These riddles would direct her to different places in the house, where she would find her next clue. 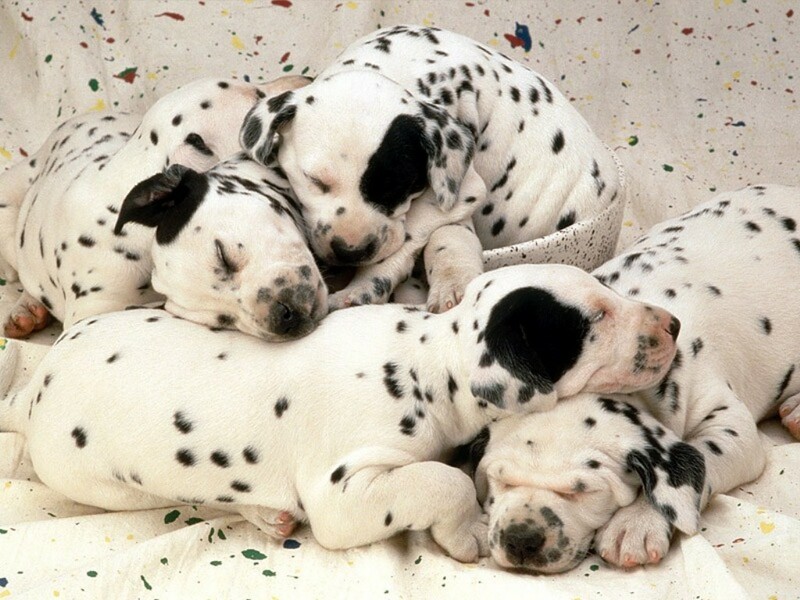 There were four riddles in total. This one lead her down our stairs, into the playroom and to some toy boxes on a shelf, which my son said he thought looked like colored windows. Searching through the boxes, she found her next envelope. Now he’s directed her back up the steps “lumps,” through a door “rectangle,” and into our bathroom where he informed me that our toilet looked like a white alligator. Looking behind the toilet she found her next clue. The third riddle sent her up into what we call the ‘secret hideout’ above our kitchen. It’s basically a spare room that you can only access from a narrow ladder set into the wall (this house is crazy). There, under the bucket my son uses to ferry toys up and down the ladder, she found the third envelope. This led her to the last riddle he had come up with. 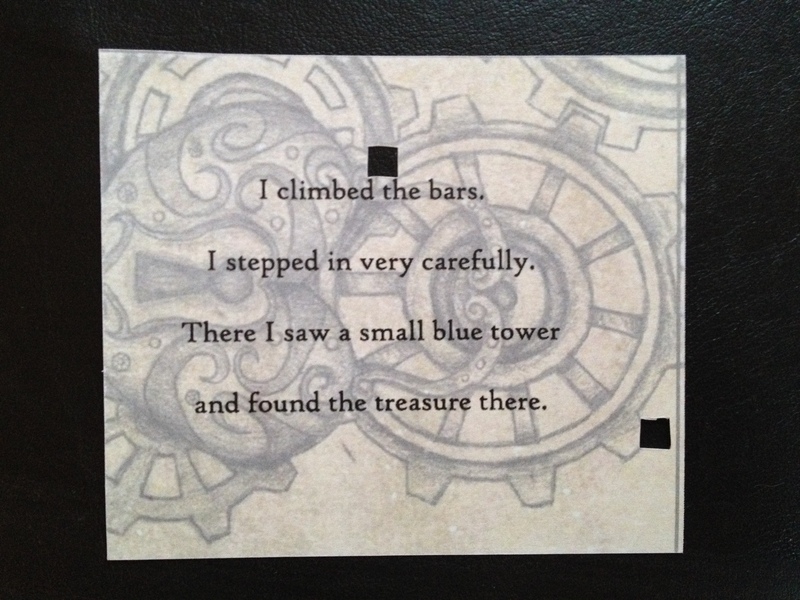 The final riddle he came up with sent her not too far from the base of the ladder. Underneath a floor mat, that reminded my son of a pressure plate in Minecraft, was her prize. 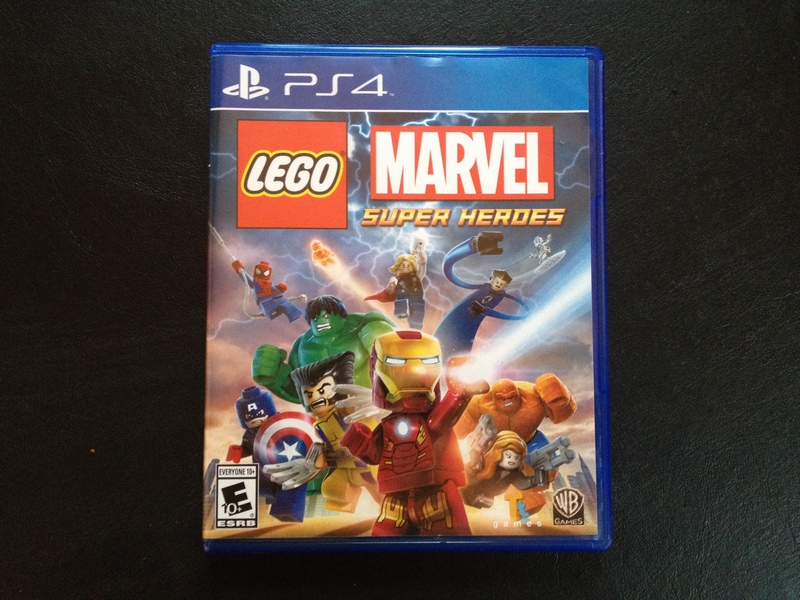 I had gotten her a copy of Marvel Lego. She’s always loved the Lego games and we’d been talking about playing since I found out it was announced. But this was just part of her birthday present. Where are you going to dinner tonight? 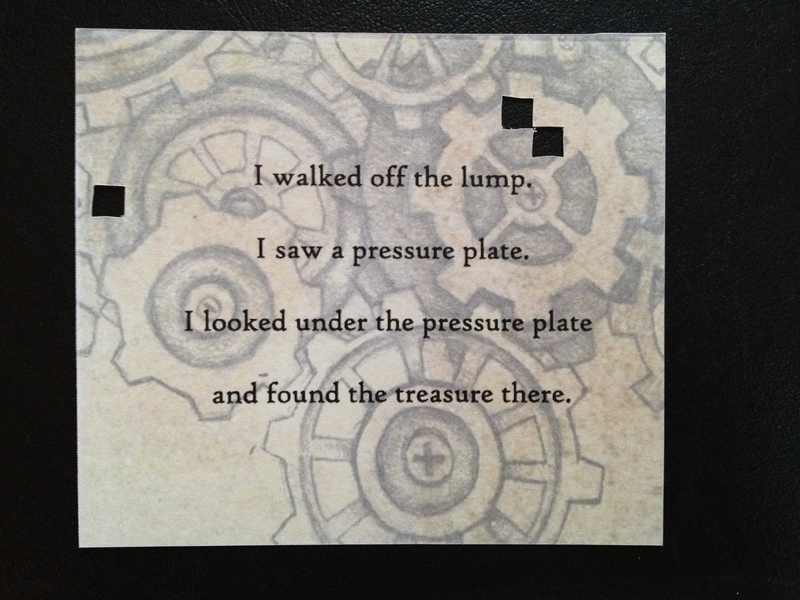 Now, under closer examination she realized that all of the riddle cards had squares cut out of them. Flipping the riddles over, she saw a series of numbers. She first placed the back or the riddle card over the front of another riddle card, to see if they lined up (which I made a point to make sure they didn’t). Once that didn’t work, she moved onto the crossword she had completed. She tried the cards in a couple different ways, but made short work of figuring out that it was in fact a key to the crossword puzzle. With this complete, she was nearly there. All she had to do was to write down the letters based off of the numbers I had written under them. In hindsight, I could have left the squares blank and just let her figure out what the phrase actually was, but I was concerned she would get overly frustrated at this part. I’ve learned in game development it’s usually best to side on making it too easy rather than too hard. “We’re going to the Space Needle!” she exclaimed without having to completely solve the word puzzle. We had dinner that night at the top of the Space Needle with her parents who showed up to surprise her. So in fact, it was a day of surprises. All around it was a blast coming up with the puzzles. She really enjoyed them, especially when she learned that our son had come up with the riddles on his own. The whole experience took her about an hour or so, much shorter than I had expected, but she had fun and that’s what matters. There are a handful of things I would have liked to do, if I had more time. 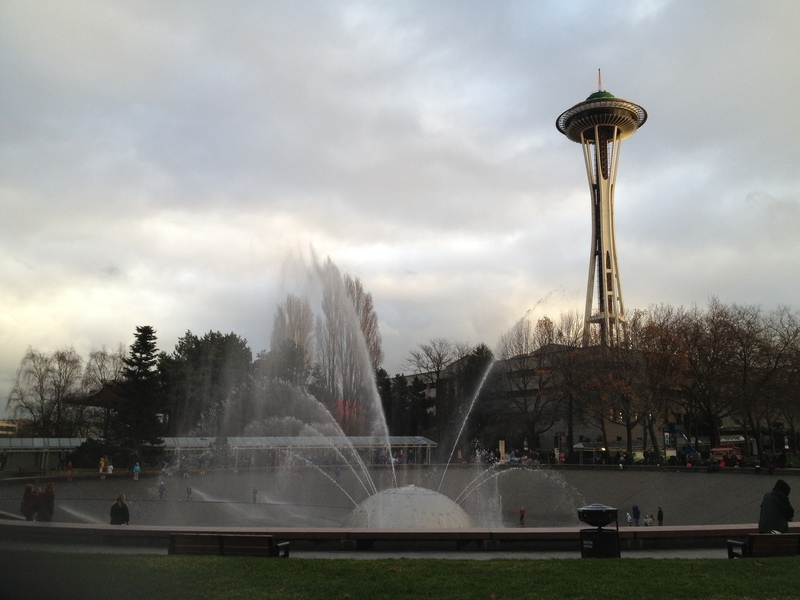 Continue the puzzle / treasure hunt at the Seattle Center. I had worked out a plan that involved me going to the Seattle Center beforehand and scouting out four places that when used as points of an X would mark the Space Needle in the center. I’d then hand her a series of cryptically phrased descriptions of places around the Seattle Center that she’d have to walk around and figure out. Once she did that, she’d connect the dots on a map of the area and see that the Space Needle would be where we were going. However, time, weather, work and kids made this impossible. 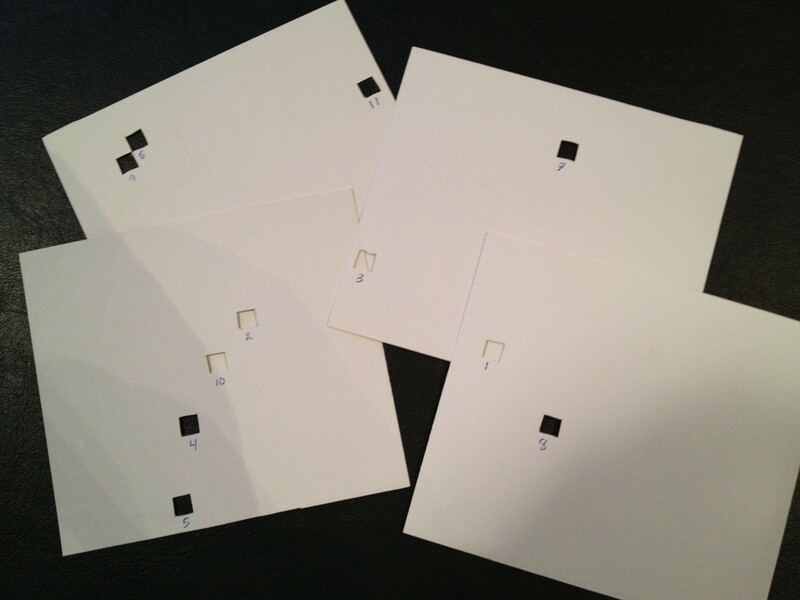 We had recently discovered Letterboxing from some friends of ours. My other plan was while I was at work for her to go to a nearby park where I had set one up a new Letterbox, just for her to find. Inside the Letterbox would be a series of instructions like, “Be ready at 6,” “Take the kids to the sitter,” and “Dress for a nice dinner.” In my mind I had these all scrambled and she’d have to use a letter substitution based off of her birthday. Getting this altogether proved to be crazy talk. My wife likes people, even strangers. I still don’t fully understand this phenomena, but I love her for it none the less. My wildest, no time to even consider getting done, idea was to involve a handful of the local businesses. Each one would be a part of her birthday present and also contain a clue/riddle to the next present. She’d get a beer at the local brewery, then be lead to the family run chocolate company near our house, then go into Seattle to throw some pizza pies for lunch and finally take some dogs for a walk at the local dog shelter. All awesome ideas, that of course I never got to. I ended up not doing this for a couple reasons, the main one being, I’d want to be with her while she was doing all this. Perhaps for another time. If you think that your significant other, child, parent or friend might enjoy something like this, you should TOTALLY do it. It was easy to set up and will give them memories that will last forever. Feel free to use everything I’ve done here for yourself. Have fun with it. Looking over this whole thing as a game designer the main issue I saw come up was the speed she went through the puzzles. She went through them a lot faster than I had expected. We experience this same issue all the time in regular game development. You expect it to take the player an hour to get through the content and it takes them 10 minutes. It’s just the nature of things. The solution here, just like in video game development is to add more content, rather than more difficulty to the content. Sure there were a couple places I could have increased the difficulty (not having the numbers on the back of the riddle cards comes to mind), but at some point that extra time is spent in frustration, not in fun. A fast, easy to play game that only requires a treasure piece, your camera phone and some imagination. I wanted to share with you a game I’ve played with my son since he was a very small child. I call it Treasure Hunt or Find the Treasure or just Treasure — basically anything with the world “treasure” in it will excite him enough to play. All you need is something that can take and display pictures, like your phone. Pick a small treasure. A treasure can be anything, a coin, a small car, a set of keys, a transformer, whatever. Who picks the treasure doesn’t matter, but if you have a child or a childish person, I would recommend letting them do it. They’ll be more engaged. The important thing is that you both agree on the treasure. If you’re a child or a childish person, well get over yourself. No one’s going to give you any special treatment. Go and hide the treasure somewhere. It doesn’t matter where as long as you can still follow rule #3. Generally, you want to hide it around the house or where ever you’re playing. You don’t want to hop on a plane and take a picture of it on top of Devil’s Tower and pop back. That’d be a very long game. Take a picture of the treasure using your camera. Depending on how you take the picture you can increase or decrease the difficulty. If you take a picture of the whole room with the treasure in the center of the picture, they’ll be able to find it pretty easily. However if you take it really close they’ll only have the surrounding area to determine where it’s at. Usually somewhere in the middle works out best. If they find it too easily, then feel free to make it even more difficult. Place it inside of or under something or make the picture blurry when you take it. Just make sure they don’t know where you’re at when you’re taking it… that would kind of ruin the whole thing. Show the image of the treasure to the other player. Hand the other player the “treasure map,” that’s what you call the phone, and they have find the treasure from the picture. This is the game and the best part of it because it can turn out to be surprisingly fun to hunt around the house looking for clues as to where the picture was taken. With really little kids, you can see them recognize locations in the house from the photo and go there. They really enjoy being able to track the treasure down and find it. For adults, it’s fun too because you can be trickier with the placement. Depending on the age of the other person you’re playing with you can switch off as the Hider or Seeker of the treasure. 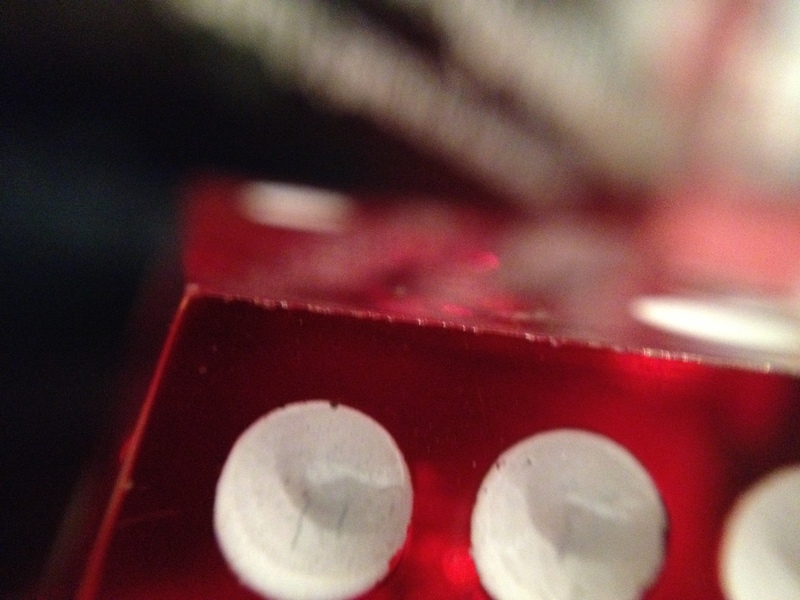 Here are some pictures of a dice I picked as my treasure. You can see how difficulty can increase or decrease by where you take the picture. Far away. Can you find the dice in the image? Now, I should point out that odds are you’ve never been in my house so the pictures above might not really be all that helpful in you finding the dice. However, if you do end up searching for my treasure, just know this – I have a very large dog… and a two year old. Be warned. 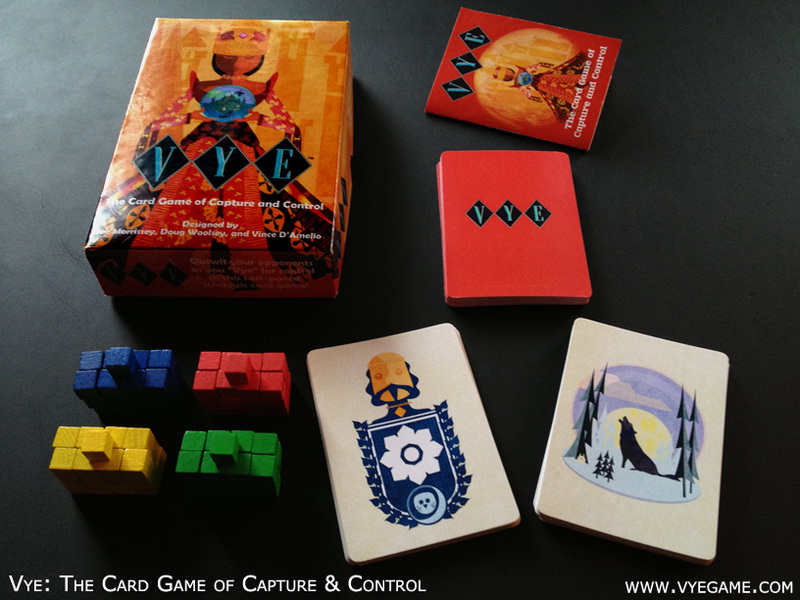 In learning how to run a successful Kickstarter, I’ve been researching many campaigns that are similar in nature to my card game, Vye. Dead Man’s Draw is one of them. It’s a ‘press your luck’ card game with a pirate theme. It’s developed by Stardock Entertainment who have been making video games for the last 20 years. You can find a link to their Kickstarter here. Regretfully, they didn’t reach their funding goal. However, it’s not the kickstarter that I’m interested in talking about today. I want to talk about the game itself, specifically the iOS version. I have found myself playing it almost constantly over the last week and a half. It’s become that thing that I do when I should be doing something else. The game is beautiful, the music is well done, the sound effects convey the point of the action and the gameplay is exceptionally solid and fun. I’ve even spent money on the game, something I almost never do with a mobile game. As a video game developer this is sad, I know, but there are better things for me to spend my money on… like paying off my debt. For this post, I’m going to use this game as a brainstorming tool to inspire new ideas and designs that fit within the existing model of Dead Man’s Draw. This early phase of development is always one of the most fun and I thought it would be fun to experiment with it here on the blog. So, before I get into that, I should give a short breakdown of the game. The cards are broken down into 10 different suits that all number from 2-7 in point value. 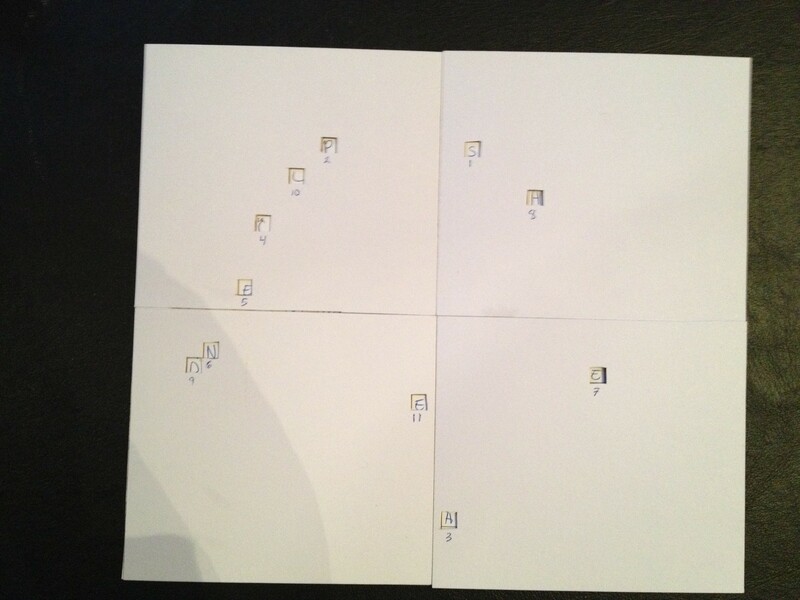 Every turn you flip over a card and place it on the table. This is the pot. At any point during your turn you can collect the cards in the pot or chose to reveal another card. However, if you draw two cards of the same suit you’ve busted and you lose all the cards in the pot. If you haven’t busted and you feel you’ve pressed your luck enough, you collect the cards in the pot and they go in a stack in front of you and that’s the end of your turn. You score only the highest card in a suit and the person with the most points wins. On the surface, the game is rather simple. Pick a card and weigh your odds that the next card will not be a matching suit. However the game gets interesting when you learn that many of the suits have special properties on them. The cannon forces your opponent to discard a card from their stack. The sword lets you can take an opponents cards and add it to the pot. The map lets you pull from the discard pile. Choosing what card to destroy, put into play, or bring from the discard pile is the core strategy of this game. The game lets you add traits to your character that you use during your match. These are passive, meta game changers that give you another degree of customization and control over the game. 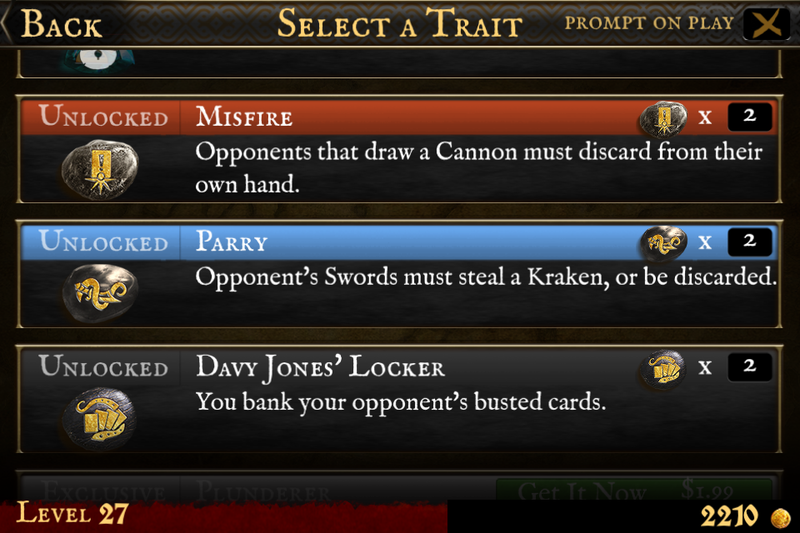 There are a dozen or so traits and they range from things like, “When you use a cannon, you destroy all the cards of that suit” to “When mermaids are drawn they’re work an additional 5 points to you” to “You bank your opponents cards when they bust.” You can take any two into a match with you. Traits give a rough battle plan when you start a game. 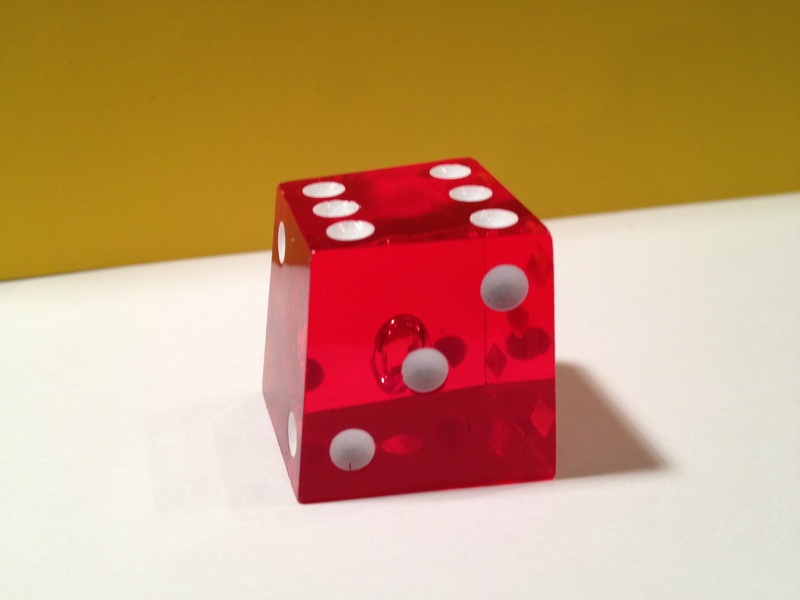 Where things go from there is up to you and Lady Luck. 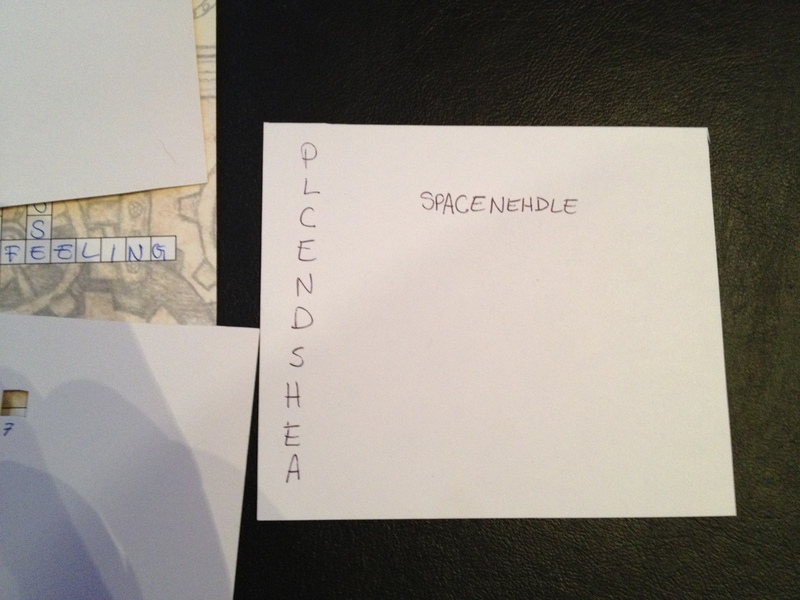 This is always the fun part in game development, sitting around and dreaming up what you’d like to see in a game. It’s easy and inspiring. It’s even easier when you already have a fun game to work from. You don’t have to get concerned with the design of the game because it’s already figured out. You don’t have to worry about budget, time or resources either. It’s great. 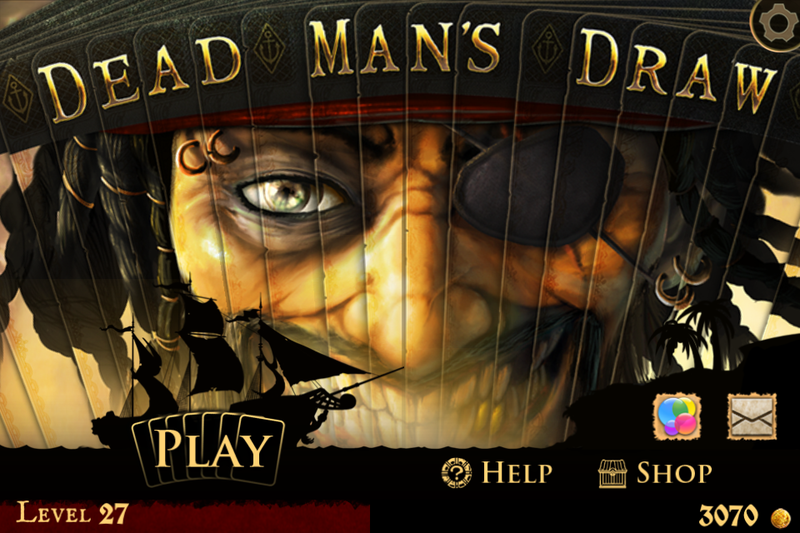 So, I’m going to play in Stardock’s sandbox for a bit an imagine some things I’d like to see in Dead Man’s Draw. I’m sure the developers have thought of all of these ideas and more. Game development always starts with big ideas that light up your eyes. The trick is then tearing everything away until that light becomes a laser beam of fun burning a whole into your frontal lobe… perhaps I should watch how I mix my metaphors. Challenge Mode Across Phones: The game offers a 2 player mode where you can hand the phone back and forth to someone you’re sitting next to. This is nice and I did it with my son and had fun doing it. However, the real enjoyment comes from being able to challenge someone on my Game Center friends list, similar to Ticket to Ride, Words With Friends or Draw Something. I would like it to follow the Draw Something model and be able to challenge not just one friend, but multiple friends to different games. Also, another potential monetization options would be to give the player one, two or three ‘live games’ for free and then charge gold or money for additional game slots. 3-4 Player Mode: I’d like to see how the game plays against more than just the two players. The card game works this way, so I’m assuming the mobile game could as well. This could be opened to the multiplayer mode as well, allowing for games with up to four friends. Maybe you could charge gold to unlock the 3 and 4 player slots as well. Well Designed Rewards: I’ll admit, I like being rewarded for doing something, especially if I enjoyed doing it in the first place. Giving trophies, achievements or in Dead Man’s Draw perhaps ‘boons‘ is an excellent way to encourage people to continue playing. However, they have to be designed correctly. Just saying “Win 100 matches to earn this trophy” might as well just say “Mindlessly grind to earn this useless trinket.” If the base game is fun, players will likely do it anyway and you might get some of them that go the extra mile to earn the trophy, but it won’t be many. 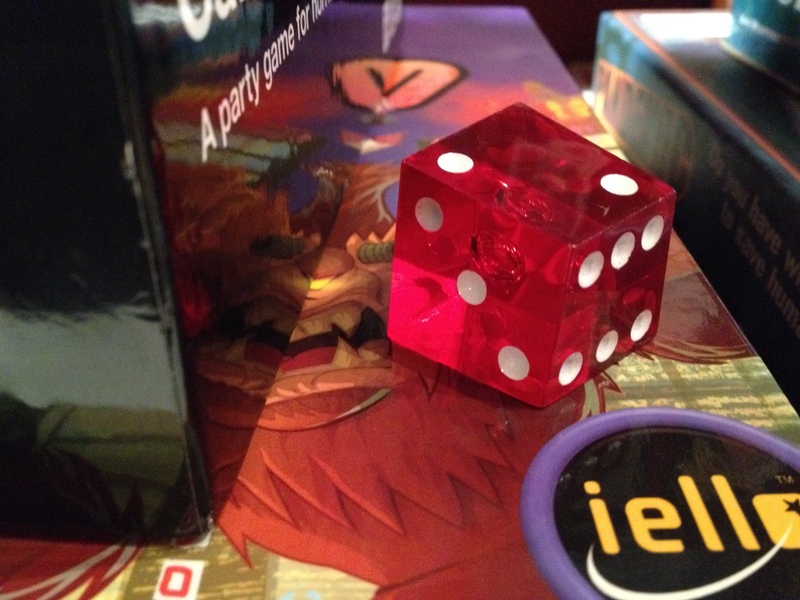 Instead, boons need to challenge the player to think about the game differently – to play the game differently. You need to create goals, like mini-missions for them to go out and try and complete. Things like, “Catch 22: End a game with exactly 22 points”, “All In: Use a card from every suit in a single turn,” “Beat ‘Em At Their Own Game: Defeat an opponent using the same traits as they are.” Each of these makes me want to jump into the game, and try and complete it, despite the reward I may or may not get at the end of it. If the game is fun to begin with, players will want to complete trophies like this because of the challenge, not the reward. Players want an excuse to continue to play a game they like, tailored correctly, trophies can be that excuse. That being said, you should still try and reward them. In the case of Dead Man’s Draw I would suggest a two fold reward. The first being pure gold. The harder the challenge the more gold earned. That alone will help drive player incentive. Secondly, I’d look at adding in the next suggestion below. Captain’s Quarters: Here you see all your Pirate Booty that you’ve amassed as you play the game. Every object is a memento of a previous battle. All your trophies are here and you can display a handful of them on the mantle above the fire place to admire (perhaps they even give you a slight meta bonus depending on which ones you have displayed). Your map table has eclectic little trinkets from the different lands (tournaments) you’ve visited spread around it. Above your Captain’s bed are the prizes you’ve claimed from each of the other captains in the game (the AI characters). Each one unique to the personality of that character and likely very difficult to obtain. Finally, there are the bounties rolled up next to the fireplace. These are the men and women that you want to take down in Dead Man’s Draw, other real world players. You can look through the scrolls and see who you want to track down and challenge to a match. Your own bounty is stuck to a wall with a knife, like a badge of honor. The more players you defeat, the higher your level, the more your own bounty is raised. If you continue to hold your standing, you’ll earn rewards. Expanded, Deeper Characters: Currently your character in the game is your name and level, the traits you’ve picked/purchased and a image. Deepening this choice would help player investment. Imagine if every image was actually a true character, with his own ‘Captain’s Quarter’ theme. He could have vendettas against other characters, earning extra gold if he made a point to fight them on a regular basis. He could also have alliances with other characters, coming to their aid in 3-4 player battles, or simply by loaning gold, or a trait charge to the character. This unlocks a benefit the next time you had to play cards against them (the first time they could score, take or destroy one of your cards, there is a chance they wouldn’t and instead tell you thanks for the help). This leads into the next idea. 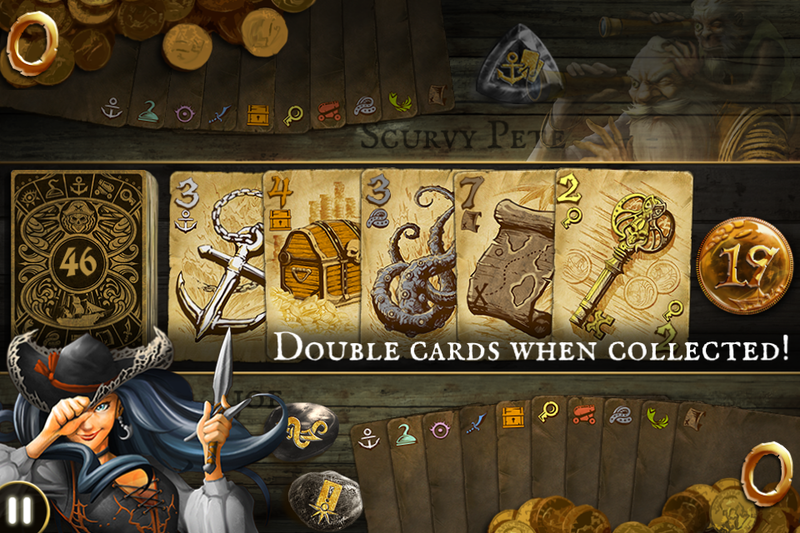 Campaigns: Each character (Black Bonnie, Scurvy Pete, etc) has their own set of missions that the player completes, earning rewards, learning about the characters and pulling them deeper into the world of Dead Man’s Draw. The missions would amount to different ways of playing the tournaments with just some narrative put into why you’re doing it. There would be a couple lines to establish the motive of each character: “Scurvy Pete: As much as I love the sea, I love my old Gilly that much more. I miss her so and must see her again.” This sets up Scurvy Pete’s goal, get home to Gilly. The first mission would then tell the player, “Battle Black Bonnie to get the location of a boat to go to Gilly.” When you defeat her, she tells you she knows of a boat that could take you there, but you’ll have to prove yourself to the Captain before he’ll let you on the crew. The next mission reads, “During your journey home, a great storm rises up and terrible ship comes out of the water sailing on the backs of sea creatures like a tidal wave.” In this mission you battle a Davy Jones sort of character who uses krakens and mermaids to stop Pete from getting home. After that battle, I’d likely stop after there. Three missions are good, but you could go on, and even have other adventures with the different characters and challenges. Hell, you could even have different packs that players could download that have mission campaigns, new art, traits and other things added in. Well, that’s my list of pie in the sky things I’d like to see with this game. I really enjoyed making the list, almost as much as I enjoy playing the game. Perhaps I’ll do something similar to this for other games if anyone else found this interesting. Any ideas you’d like to see in the game that I might have missed? Rodger Hicks over at Today in Board Games has started something rather interesting. It’s a Back for a Buck challenge where your challenged to spend $1 on 10 different kickstarter projects you find interesting or think are worth supporting over the course of a month. Nearly every project on Kickstarter has a $1 pledge level and if not, you should contact the creator and tell them they should add one. You generally get two things for your $1. Updates on what’s happening with the project, news and potentially interesting insights into the behind the scenes development of the project. 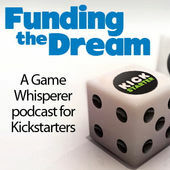 I’ve learned some incredibly interesting things about making a movie through the Veronica Mars kickstarter updates, gotten a sneak peak at the art and design of card games through the Get Lucky, the Kill Dr. Lucky Card Game and gotten access to early downloads of the game through the RARRR!!! Monster-Building, City Stomping Board Game. All of these were well worth the $1 that I spent on backing them. He asks you to post the projects you’ve backed on his BoardGameGeek thread as well. He’s compiled some data on how many people have participated, how many projects got backed and some other interesting information. He ran this challenge for Sept and Oct, but I’m not sure if he’s doing it for November. Either way, I thought this was a great idea and felt the need to participate, if only by myself. <Firewall> (roll, control, repeat) Hack the Planet! As you can see, I still have two more projects to back before I’ve reached my goal, but I’m sure I can find a couple more things to back. 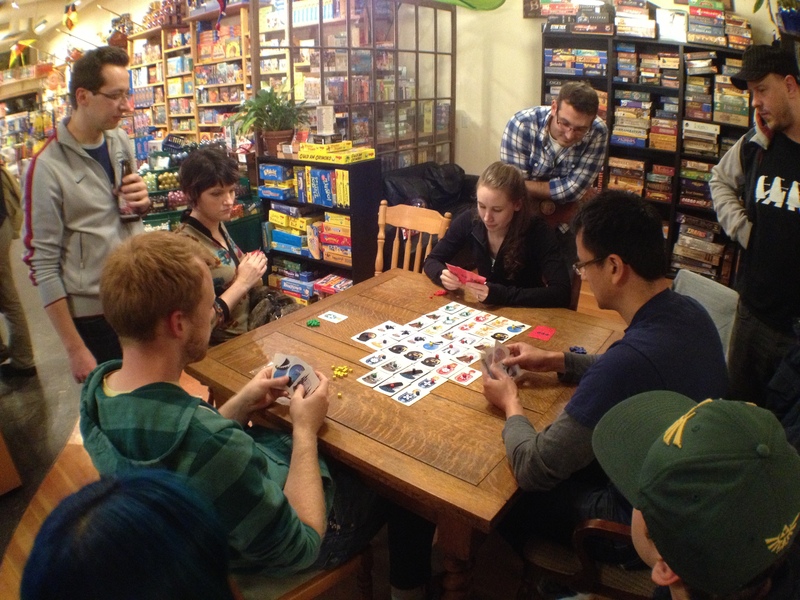 Recently, I went to a game night at Blue Highway Games here in Seattle. I took in a copy of Vye with me and plan. I was going to sit down at a table and convince people to play my game. I had hoped people would like the game enough to sign up for my mailing list. A mailing list that would become one of the foundations of my initial launch for the Vye Kickstarter. I knew I needed to build a community if I had any hope of having a successful campaign. To do this, I needed to get more than just my friends, family and coworkers playing the game. I had to play with strangers. The man behind the counter, who I later learned was named Scott, looked over the game, gave me some encouraging comments about the artwork, then regretfully informed me that they were doing a tournament tonight and all the customers were involved. With those encouraging words, I found an empty table and started laying out the cards. The art for Vye is eye catching. So, I hoped putting the cards out on the table would draw people in. It paid off. One of the guys at the store asked about the game, commenting first on how good it looked. He sat down in-between his tournament games and started playing. Shortly after that, the manager brought some people over to play Vye. He told them they should take a look at the game and give it a try. The next thing I knew, I had four people playing and others standing around watching. Everyone was having fun and I had gone from incredibly nervous to incredibly elated in the span of an hour. This is why we make games, to see others enjoy playing them. That night over a dozen new people played Vye. Everyone had fun and I got a decent amount of them to sign up for the mailing list. It was a great evening and I got a lot of encouragement from Scott , the other employees, as well as from the completely random strangers who played the game. All signs point to success. However, I’ve been in other game stores where things didn’t go anywhere as well as that night. I plan to post about those experiences another time. Now I wanted to talk about this success and what I’ve learned from it. I made sure to pick an open game night to try and play Vye. I talked to the guy who runs the place before I sat down and started pushing the game onto people. This not only let me take the temperature of the place, but also gave me the knowledge that they were doing something else that night. I displayed the art of the game for others to see. When I got people playing I sat back and let them play. I didn’t get in their way of enjoying the game. I wasn’t pushy with the mailing list, maybe I should have been, but it didn’t feel right. I should have gone in months ago. Meeting these people, playing with them and getting to know them helps on so many levels. It was stupid of me to stay at my house, dreading the encounter. I shouldn’t have given up nearly so easily when he said they were doing something else that night. I had one foot out the door before he stopped me. I should have known before I walked in there if they were running a tournament or not, though in the end it did work out. The manager was awesome. He talked with me about the game, gave me the name of someone to talk to about shipping fulfillment and encouraged the people in his store to play a game he had never heard of before that night. That was huge. 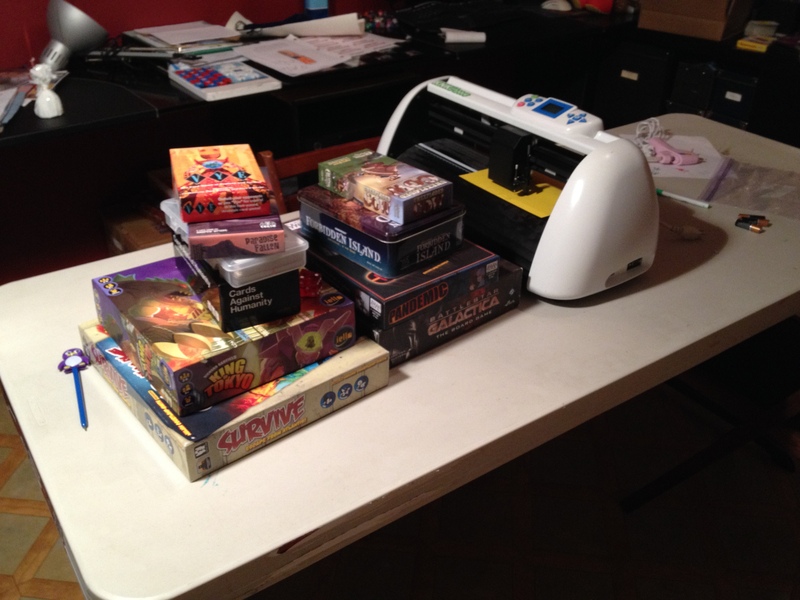 The vibe of the store felt like a casual party rather than the typical ‘magic the gathering’ game night. These people were there to socialize, play games an meet new people, not to test out their new deck on their select group of friends. I was really lucky with how well the night went and I plan on posting more of these “drop in play sessions” with Vye. If any of you have insights into how to improve the experience I’d love to hear them. Have you tried to play with strangers? If so, how did it go? Currently, I’m in a slump with my kickstarter video. The rough cut is laid out. The scenes are saying and showing the things I want them to say and to show. However, I find it bores me and I can’t tell if it’s because I’ve been working on it too long or the video just isn’t that exciting. My gut tells me the video needs to be remastered. To get me back in the editor’s chair, I’m starting with the music. Music conveys emotion and sets the mood. 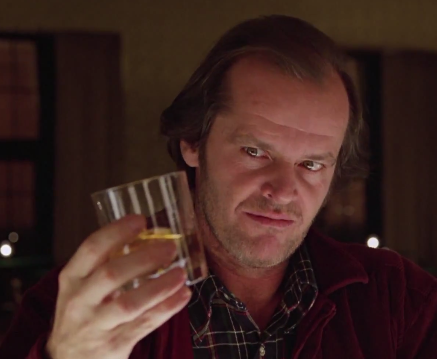 Just watch “The Shining” turned into the feel good movie of the year to hear what I’m talking about. Skip ahead to :51 seconds and feel your emotions swell and your spirits lift as you watch Jack, Wendy and Danny come together as a family. Music is not where I start. I’ve learned the hard way to start with the script, rather than just taking a bunch of video of people playing my game, me talking about my game, shots of my game dynamically placed on a table with my dog sleeping in the background, and then editing all of that while trying to craft a 2:00 minute, ‘gotta have it’ video is impossible, because it just ends up as disjointed and convoluted as this sentence. So yeah, I start with the script, but I immediately move to the music because it sets up the beats for all my edits. Getting the timing right for when to cut to a different shot in the video, is easier when I know the music I’m using. The script might be what is said, but the music is how to say it. Unlike other sites that sell “songs,” PremiumBeat focuses on music and scores you’d expect to hear in commercials, television and movies. 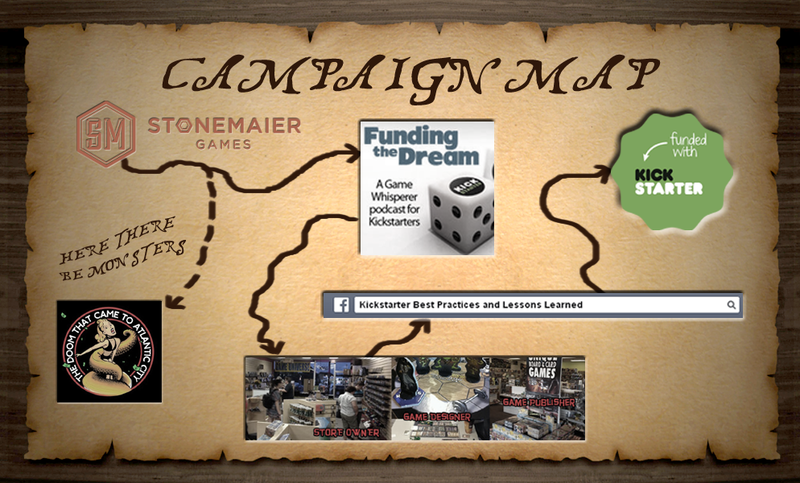 It’s a great resource for the type of videos you might want for your Kickstarter. That’s all for now. Time for me to go face the music and get back to work on that video.